This has some very good aspects, yet I do believe it has overstayed its welcome a bit, and maybe should've been bottled a wee bit earlier. 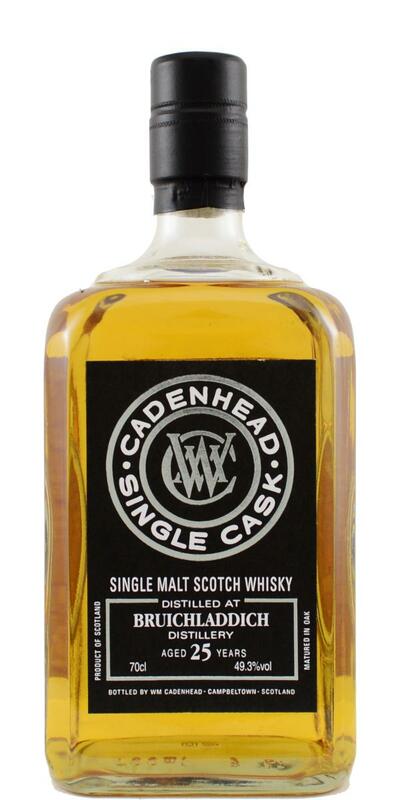 Regardless, this is far from a dime a dozen dram, and has boatloads of character. Big notes of pear skin and stewed pear, as well as peach, followed by a touch of brown sugar and banana. Lovely floral as well, with just a hint of almond. Overall though, this has a thin, citrus-y veneer. Quite oily, arriving with big citrus notes—pickled lemon and tangerine mainly—before moving on to dryer, oak-y flavours. Soft spices, slightly bitter. A touch of leather as well. Very dry and oak-y. Ending on notes of yellow fruit. Apples, pears and canned peaches. Low fruits. Syrup. A wee bit of oak, but not overwhelming. Same as the nose. Toffee. Can really detect the bourbon influence. Underwhelming finish. It's there and pleasant, but weak.